Our research shows that diaspora remittances halve the chance of Kenyan children being out of school. In the households that receive remittances, not only is more money spent on education, but the children are also less likely to work and more likely to study. 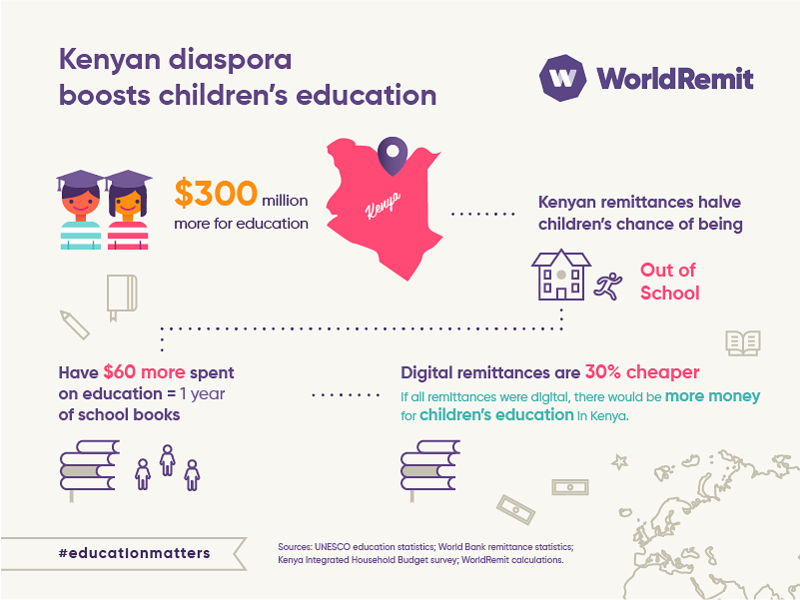 In Kenya, we found that $300 million extra was flowing into children’s education due to annual remittances – now topping a record $2.1 billion.